My 29th birthday is tomorrow. From the looks of things (my cervix) I’ll be able to enjoy some time with my sister, a good nap and something delicious for dinner. Then again, things could all change in the next 15 minutes, that’s the thing about carrying a full grown human baby in your stomach. You’re kind of at their mercy. I have a friend who isn’t ready to have her baby come out yet in the hospital because somewhere something decided to poke a little hole in her baby’s swimming pool. I have another friend who’s cervix is ready to throw a birth canal parade but her baby isn’t quite ready. I also have so many more friends who have never made it as far as I have. I may not be up for any awards in the “getting pregnant easily” category but when it comes to baking them? I’m Gordon’s Volvo P1800. I dare you to bust this baby out before she’s ready. We are all so lucky to be where we’re at with something in our lives. Our family, our friends, our health, our dainty wrists, the way the sun shines into our bedroom in the morning. Other people would see our individual blessings as a burden (“Blech! I would never want to be pregnant again!“) while others would give up all they had to be where we’re at. Another person’s happiness deserves to be celebrated with all I am able to give. Is it always easy? No. Jealously can be a cruel wench. But the more I do it, the easier it becomes. And the easier it becomes the easier it is to see the blessings in my own life, which in turn allows me to celebrate the wonderful in others lives as well. I hope to never be known as a miserable person. What is the most wonderful thing going on in your life at this very moment? Happy Birthday, lady!! I’m excited and happy for all your cool stuff… wooooot!! Sheesh, forgot to wish you an amazingly wonderful and laughter-inducing Birthday! happy birthday to you! You are my wonderful today! Oh, and the fun of the trying to get pregnant. that is still in the wonderful phase too. Happy Birthday dear! Mozie, give mumma today. You’re welcome to come tomorrow. You’ll like it better this way anyhow. Well – I have an epic pedicure scheduled for tomorrow after work – and then I have book club tomorrow night – nerdy, I know, but these two things make me happy! Happy Birthday, lovely! I have a few things. Mostly I’m happy I have two very healthy almost 8 year old twins a wonderful husband a roof over my head and a great job that although it is full time and busy affords me the flexibility to take off and spend plenty of time with my family. Oh yes, also I getting healthier and fitter doing regular fitness bootcamp which has been invaluable so there’s that. In general life is pretty darn good and re-reading this all I realize I really need to stop complaining. I’m due in December. If you told me three years ago, shortly after I was dumped by my ex fiance and deserted back in SLC, that by 2011 I would be married and six weeks pregnant, I would have laughed hysterically. I am so thankful that I was proven wrong and that I am not doomed to be a Crazy Cat Lady, as I previously projected. Happy Birthday!!!!! Thank you for sharing your life with us! My wonderful? In 10 weeks I will welcome a bouncing baby boy. Which is two fold…one because I get a sweet baby to smooch on whenever I please, and two because I won’t have him using my bladder as a trampoline any more! Cannot wait to “meet” Mozzi!!! hope you had a wonderful day and it was all about YOU. wonderful things happening for me right now? i only have a week and a half more with this knee immobilizer thingie. i can see light at the end of the knee fracture tunnel. and best thing? my brother and his wife are making me an aunt for the first time. baby j scheduled to enter this world next thursday! woot! also? 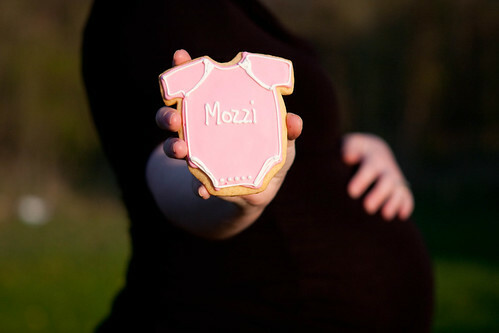 i can’t wait to “meet” mozzi! Happy Belated Birthday! I really love this post. It’s just beautiful. I have printed it and plan to hang it on my wall. My most wonderful thing at the moment? Birthdays. It’s my family’s birthday season, and I am grateful we are all here to celebrate them. Today I am thrilled to be alive and safe and that the same can be said for all my family and our homes. Wednesday evening an F4 tornado scraped the earth 2miles from my house. (aka the DeKalb county tornado). It squeezed between my parents and grandmothers houses and left unimaginable damage and death. An F4/F5 plowed up homes 2/10 mile from my brothers home (aka Madison county/Harvest tornado). April 27, 2011 will be Alabama’s Pearl Harbor. There have been so many homes and lives destroyed here this week. I have gladly learned several lessons on priorities and gratitude. In the midst of it all, God has been so merciful and loving. Please give to the Red Cross or UnitedWay, specifying the Alabama tornadoes. Please don’t forget that while Tuscaloosa is in the medias eye, many, many more lives were affected in other places. The tiny town of Hackleburg (pop. 1500) has 29 dead and 100 still missing.